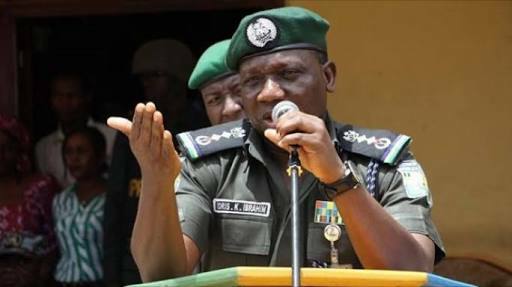 The Inspector General of Police (IGP), Ibrahim Idris has approved the nationwide inspection of Police cells by the National Human Rights Commission (NHRC). The approval came after the Commission requested an independent inspection of police detention cells including that of Special Anti-Robbery Squad (SARS) across the country. The inspection is expected to enable the Commission ascertain the condition of detainees and the state of police detention facilities. This is contained in a news bulletin in Abuja today by the Head of Public Complaints Rapid Response Unit (PCRRU), ACP Abayomi Shogunle. The reads: “The Inspector-General of Police, IGP Ibrahim Idris has approved the request of the National Human Rights Commission (NHRC) to commence an independent audit of detention cells in all police commands and formations in Nigeria including those of the Special Anti-Robbery Squad (SARS). “These visits will enable the NHRC oversee the human rights situation of detainees as well as undertake general audit of the state of police detention facilities (cells) in the country.